That's it for this week on Business Live - thanks for reading. We'll be back bright and early at 06:00 on Monday. A tiny coastal nation in the Horn of Africa hopes it can one day become the heart of shipping on the continent. Djibouti, located at the mouth of the red sea, sits along the Gulf of Aden - one of the world's busiest shipping routes. However, it has a population of less than one million, and several other African nations have a head start. South Africa, Kenya, Tanzania and Mozambique already have much larger, busier ports. Wall Street stocks have ended slightly higher. The Dow Jones Industrial Average ended the day 0.15% higher at 26,424.58, while the S&P 500 climbed 0.41% to 2,891.06. The tech-heavy Nasdaq meanwhile rose 0.59% to 7,938.69. UK workers' productivity fell again in the final three months of last year, down by 0.1% compared with the same quarter a year ago. It was the second year-on-year quarterly fall in a row, after a 0.2% drop in the July-to-September period. The Office for National Statistics (ONS) said the "productivity puzzle" had been a problem for years. It said labour productivity was lower over the past decade than at any time in the 20th Century. Oil prices jumped by over 1% on Friday on expectations that oil supplies could be tightened by an escalating conflict in Libya, as well as positive US employment data, which allayed fears that global demand for crude could weaken. Brent crude oil is now up 1.2% to $70.29 a barrel. West Texas Intermediate oil has risen 1.4% to $62.97 a barrel. 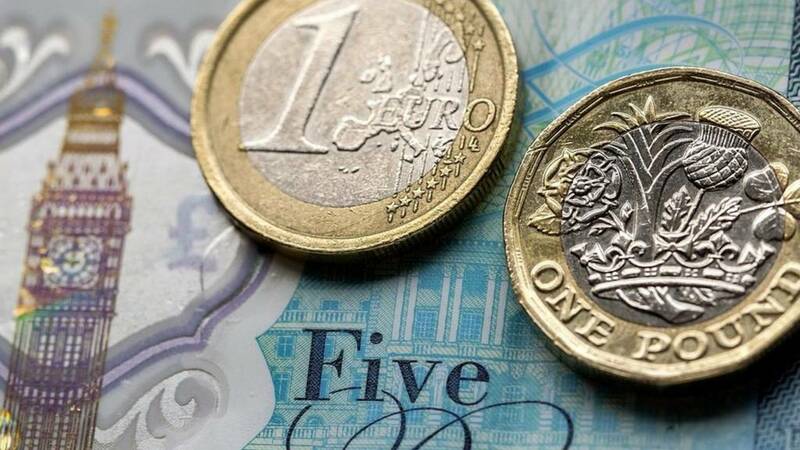 The pound fell against the dollar on Friday following comments by the Labour Party saying that it had made no progress in talks with the UK government on a Brexit deal. EU leaders also said they were not convinced that they should allow the UK to delay leaving the EU on 12 April. Sterling is now down 0.3% against the dollar at $1.3032. The pound has also fallen 0.3% against the euro at €1.1620. David Malpass, who has been officially appointed as World Bank president, has written a note to World Bank Group (WBG) staff. In his letter, he thanks Kristalina Georgieva, who served as interim president for three months. He also stresses the urgent need to help alleviate extreme poverty, which now affects over 700 million people in the world. "We must work tirelessly to foster broad-based growth for each and every borrower, and a stronger, more stable global economy for all; and to provide WBG leadership on crisis preparedness, prevention and management, global public goods, and fragile and conflict-affected situations," he wrote. He stressed that he is keen to meet with staff once he starts work at the World Bank next week. More on David Malpass, who has been appointed as the next World Bank president. Mr Malpass previously served as under secretary of the Treasury for International Affairs for the US. He represented the US at several international meetings, including the G7, the G20 and annual World Bank-IMF meetings. He played a crucial role in the implementation of several major World Bank Group reforms and initiatives, such as the Debt Transparency Initiative, which increased public disclosure of debt. Before joining the Treasury for International Affairs, Mr Malpass worked as an international economist and founded a macroeconomics research firm in New York. Police cordoned off three streets in the last hour in the City following reports that two suspicious packages were sent to the Bank of England. A 100m cordon was placed around the building, affecting Lothbury, Bartholomew Lane and Princes’ Street. Fortunately, police found that the packages were safe, and have now lifted the cordons. Donald Trump's pick for World Bank president, David Malpass, has officially been approved for the role. In February White House officials said Mr Malpass, a long-time Republican, would be a "pro-growth reformer". 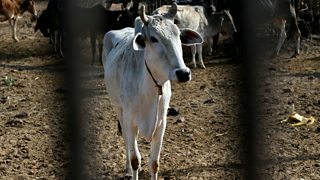 The treatment of cows is a highly emotive issue in India; it's been linked to social divisions, and even mob killings. Are these disputes damaging the country? What has Persimmon done so far? The appointment of a new chief executive, David Jenkinson. Adopting the pay regime set out by the Living Wage Foundation. London shares have ended higher, as the FTSE was boosted by better-than-expected US jobs figures in March. The FTSE 100 closed 45 points or 0.6% up to 7,446.87. Top of the winners was Prudential, which rose 2.7% to £16.80. The FTSE 250 ended 31 points or 0.2% higher to 19,538.30. The winners are led by Amigo Holdings, which jumped 10.2% to 217p. The US President said the threat of a 25% tariff on imported cars will force Mexico to secure the border. US President Donald Trump has now left the White House and is heading for the southern border of the US to view a new section of his wall that is being built. Meanwhile, 20 US states have filed motions to block him from diverting federal funds through a national emergency declaration as a way to fund his wall. Some reaction to those GVC financial figures from George Salmon, Equity Analyst at Hargreaves Lansdown. “It was only a brief first quarter trading update, but this announcement was important for GVC after market confidence was rocked by senior management dumping millions of shares last month," he says. "With the group still cantering towards its targets of double-digit online revenue growth, we think these numbers are generally reassuring. "One blot on the copybook is that win margins are lower, meaning customers have had a comparatively good run recently. But the bookie always wins in the end. "Punters often recycle a significant chunk of their winnings into another bet, and bookmakers can count on time taking its toll on a gambler’s roll. GVC will be hoping the tide turns over Grand National weekend, which is of course one of the most lucrative in the sporting calendar." People in Wales could pay different rates of income tax to those living elsewhere in the UK, under powers that come into effect on Saturday. Ministers will be able to adjust income tax by 10p in every £1 for each band. Income tax rates in Wales are staying the same in 2019-20 and ministers have said they would not change them before the 2021 assembly election. First Minister Mark Drakeford has previouslywarned that in some circumstances they could be forced to. 10p in each band will go directly to a Welsh Treasury to be spent on public services in Wales, rather than coming via the UK government. US President Donald Trump is also having a press conference now. He told reporters that the US Federal Reserve should lower interest rates. In March, 196,000 new jobs were created in the US, while wages grew and unemployment held steady. Mr Trump said that the new jobs data showed that the economy was performing well, but that action by the Fed had really slowed down the economy.